Classes meet daily Monday to Friday between 9am and 5pm. Click here to view example schedule. 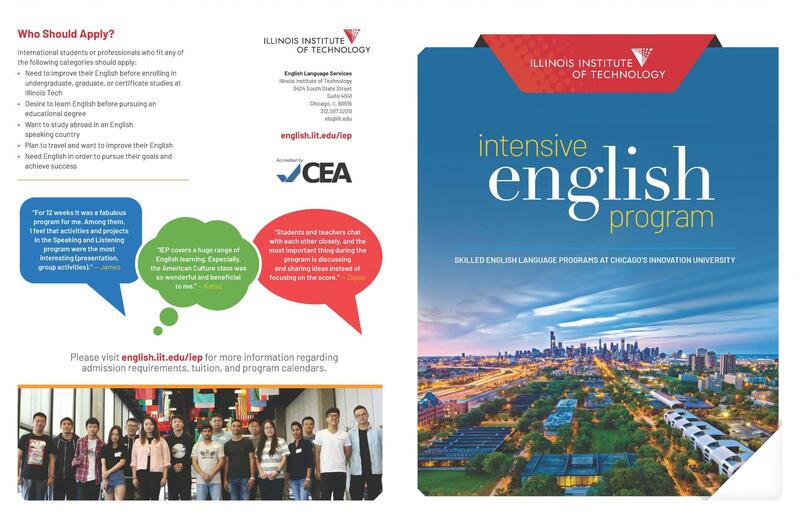 Students accepted to the IEP will study English, meet new people from different countries and cultures, and will experience Chicago while preparing for their academic and professional careers. Experienced full-time and part-time instructors with graduate degrees assist students in achieving their language goals. For information on important dates and deadlines, please visit the Program Calendar. For other questions, please visit our Frequently Asked Questions page. Chicago has some of the world's best food, shopping, and museums in addition to its amazing architecture. There are events every weekend, live music and theatre every night, and beautiful parks and gardens. For more information on the thriving city, click here and choose Chicago.